I love subscriptions boxes! Why? Because they come with lots of stuff inside and it is affordable! Most of the subscriptions boxes offer less price than when you buy each one at a retail price. If you need something unique and on a budget, subscription boxes are your perfect gift ideas for Valentine’s day or birthday’s gits! These are round-up of unique subscription boxes you can choose for your loved ones! You can give your man or husband a wardrobe change with gifts number 2 and I have something for DIY-ers like me on number 5! Note: Just heads up for you, it’s better to check out their FAQ’s for how long you will receive your box because each company offers different shipping date so it’s better to ask them directly or read their FAQ’s! A subscription box is a one month or more subscription to a certain niche product. Usually, they come one a month after you subscribe to them. Now, this is the good thing to know, every box comes with one or more products inside and the price for subscription box usually cost less rather than buying each product at a retail price! That is crazy, right?! That is why I love subscription box! Can you imagine getting a surprise box right at your doorstep? I remember when I get my first subscription box, it was SUPER FUN AND EXCITING! You do not know what’s inside the box except your preference so it really enticing and excites me to open the box. How Does Subscription Box work? 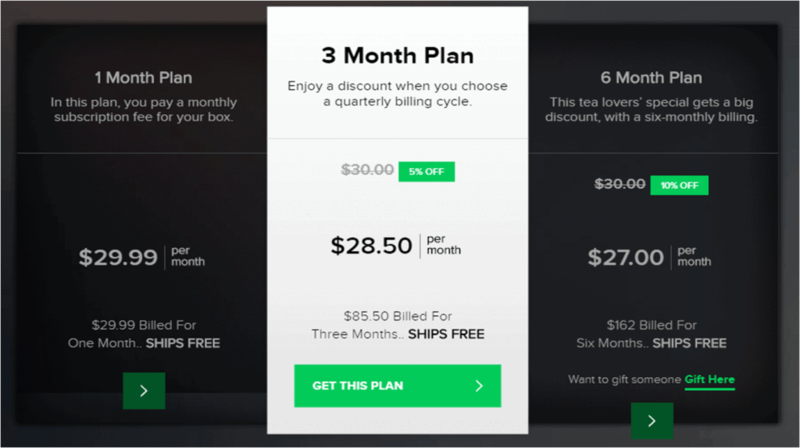 Usually, you need to sign up minimal to one box every month but you can also subscribe for three or six months. Sometimes they offer one or more themes for each month and you can choose whichever you like or you can choose based on your preference. In the end, this subscription box would put a smile on your face when it comes to you or your loved ones’ doorstep! HERE IS THE ROUND-UP LIST OF SUBSCRIPTION BOX PERFECT FOR YOUR LOVED ONES! This box offers you with over 750 designer perfumes sent to you every day. This is a perfect indulgent for your loved ones because you’ll get a 30-day supply of a new designer fragrance that they’ll send right to your door. One bottle is 0.27 oz / 8 ml, so you can spray 4 times a day! You can cancel anytime! No pressure! Good news is now they offer a 50% off the price! If your loved ones is a perfume lover then this is the perfect gift for him or her! 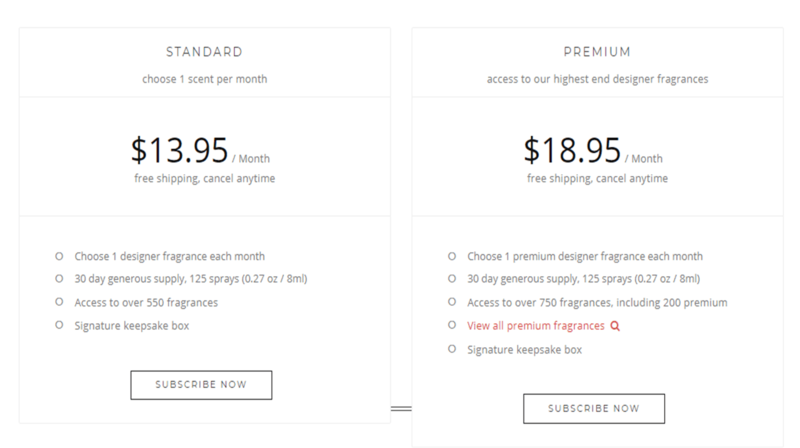 Get a 30-day supply of designer fragrance for $13.95/mo. 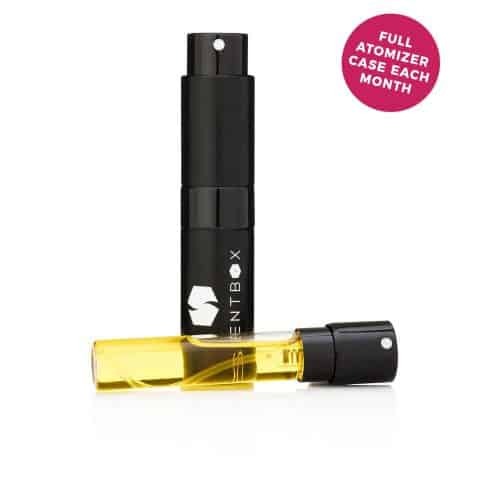 Get 50% Off First Month from ScentBox.com! 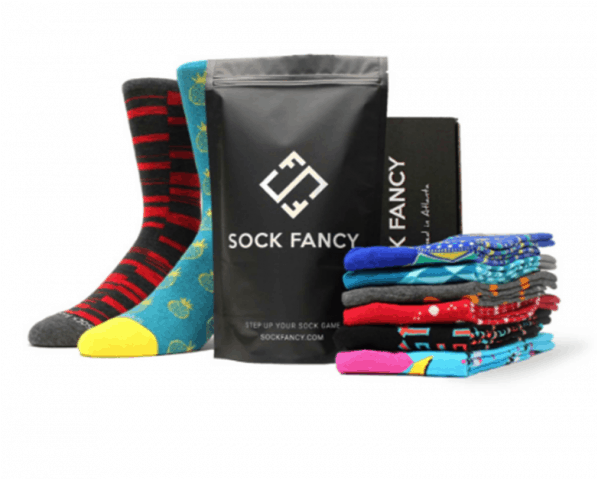 Sock Fancy provides stylish folks like yourself with a monthly sock subscription to a selection of unique, eye-catching socks. 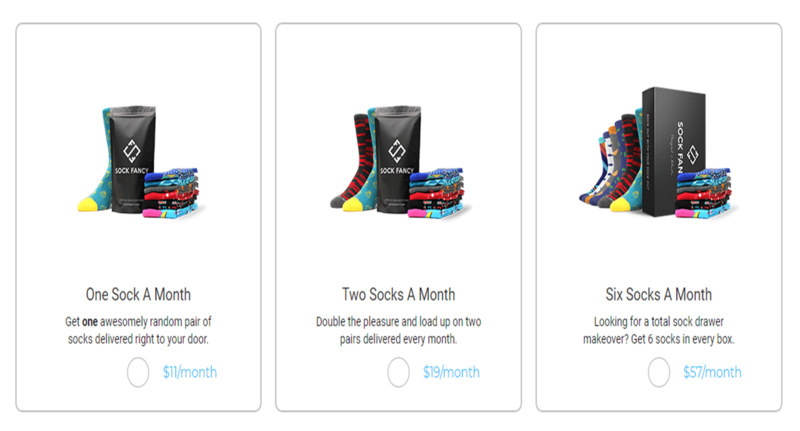 For just 11 bucks a month you not only get a pair of awesome socks delivered to your door but all the comfort and cool that fresh socks can bring. Their sock subscription supplies enough fresh-footed swag to last a lifetime. If you are wondering what this socks made of? It’s made of 70% of combed cotton, 14% of polyester, 30% nylon, and 3% spandex and what is cute about this socks? you will get cool yet unique patterns! 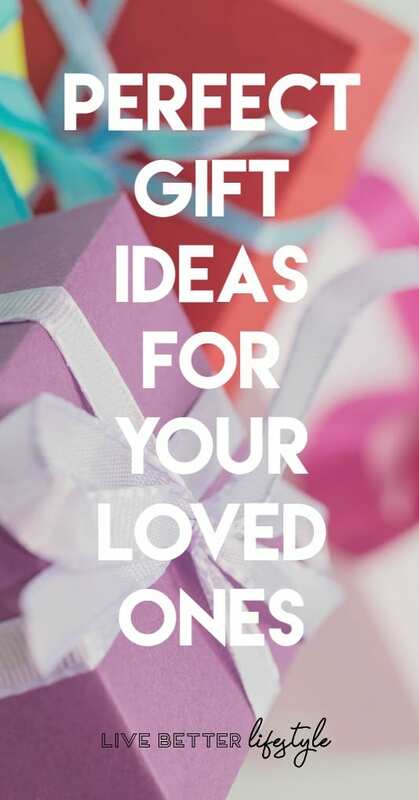 If you are having trouble to find a perfect gift for your boyfriend or husband, Sock Fancy will be a great solution! And of course, if you are on a budget, I recommend you subscribe to two pairs of socks for $19 because you will save 14% rather than paying $11 for one pair of socks! This subscription box perfects for lipstick suckers! 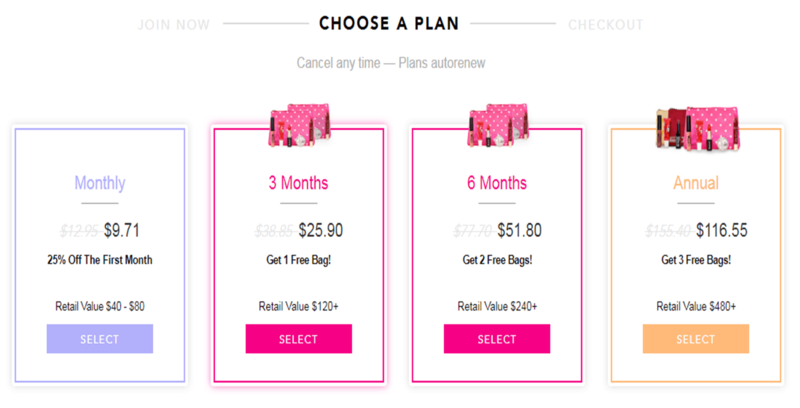 For one month subscription, you’ll get all full-sized products in your makeup bag and are sent straight to your door. Lip Monthly will help you discover the best Lip Glosses, Lip Sticks, Lip Balms, Lip Stains and much more for your loved ones. In addition, they’ve partnered with niche brands to big brands all around the world to deliver you 4-5 deluxe products every month. Free shipping anywhere in the US but don’t worry, they provide overseas shipping too! You will get a mixture of full-sized products and sample ones. So, what are you waiting for? if you want an affordable price for your loved one, you only pay Lip Monthly for $10/month, you’ll get a unique box with a variety of 2-3 full-sized products and 2-3 sample products. Join now at www.LipMonthly.com! 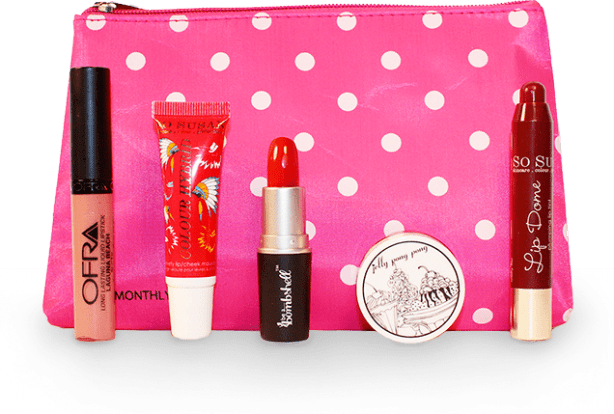 Spoil beauty lovers in your life with this fully customizable monthly beauty box! It is not just a box with full of random makeup but it’s customized for you or your loved ones. What will you get inside every box? You will get 3 piece makeup item that is personalized just for you! P.S: Their nail polish is a BOMB! The more the merrier, If you are going to gift to several people, you can choose these plans or you can subscribe only one also! There’s a beauty quiz you need to fill up before sign up for a box, who wants a random makeup for your face??!! Choose what makeup you want, not a random one! If you subscribe to Julep Beauty Box now, you’ll get FREE 5-Piece Gift when you join Julep Beauty Box subscription. Use code FRESHGIFT. 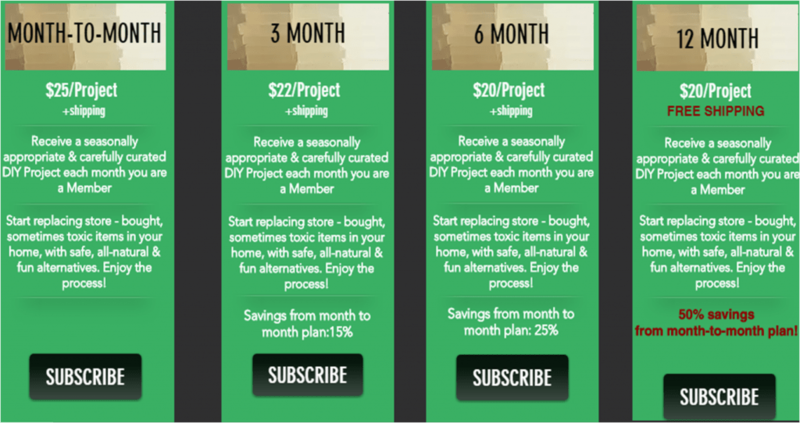 This box offers one month or more subscriptions perfect for DIY-ers. I personally a DIY-ers and love to experiment and this box brings out the curiosity side of me! They come up with great ideas each month & work with experts to design hands-on projects to create. For $25/ month you will get lots of stuff to experiment with! You will receive all the tools you need to get your hands a little dirty, make something special & new or even replace a”questionable” item in your household with your new all-natural & safe alternative! 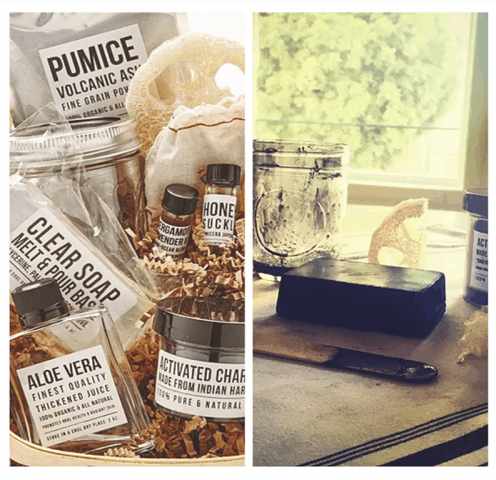 Start replacing store – bought, sometimes toxic items in your home, with safe, all-natural & fun alternatives with DIY Collectives subscription box. And there is a fantastic news for you! They are giving coupons for Valentine’s day! Get your 10% discount on checkout with this coupon: iheartu. You will get fresh tea delivered to your doorstep! 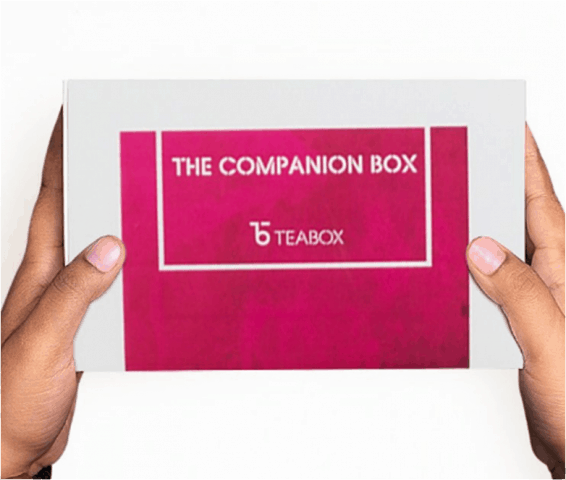 This box perfect for tea lovers! Their ingredients are freshly made with over 150 tea growers across India and Nepal to source the best tea there is. Their catalog features a wide selection of single-origin teas from over 150 tea gardens across Darjeeling, Assam, Kangra, the Nilgiris, and Nepal. In addition, there is an exciting range of iced teas, flavored and non-flavored blends to choose from. Themed box, every month they have different themes. You can subscribe the box here! So that is it! 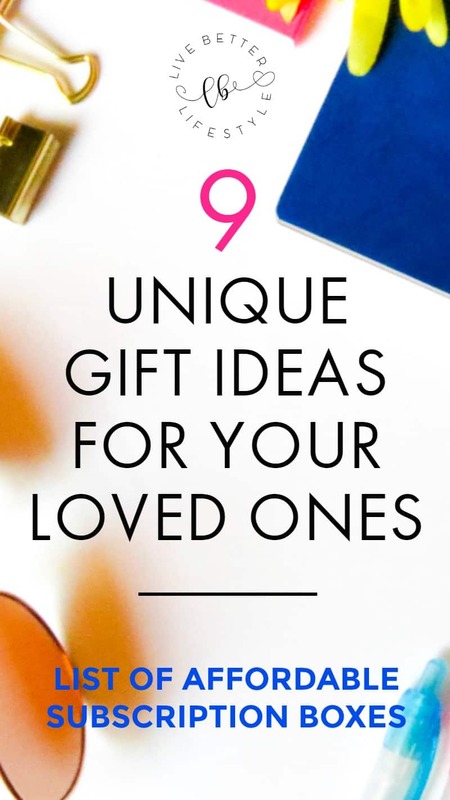 I hope these could be a great gift option! I am sure your loved ones will be surprised when suddenly the box comes to their doorstep! Tell me more if you have other option that I can include in the list! Love to hear your experience also if you have tried one of these subscription boxes!